Added a correction for spells http://wowhead.com/spell=178444 and http://wowhead.com/spell=178445 . Missions distribution improved, you can now get more lvl 100+ missions. Epic followers can have multiple abilities now. http://wowhead.com/npc=77894 should now work properly. Increase loot distance in raid and dungeons, it should prevent players from being unable to trade items looted in a raid (which are tradable between raid members during 2 hours). All loots are now disabled during a challenge dungeon. Implemented the ability to reset the challenge. All bosses are now disabled until the challenge starts. You’ll not be bound anymore after completing a challenge dungeon. http://wowhead.com/spell=83968 cannot be used anymore during a challenge dungeon. You’ll not suffer of durability loss when dying in a challenge dungeon. All cooldowns of 3 minutes or more will be reset after a challenge reinitialization. You’ll not be able to change talents or glyphs anymore in a challenge dungeon. You’ll not be able to add gems in your gear anymore in a challenge dungeon. Your item set bonuses will now be disabled in a challenge dungeon. Your gems will now be disabled in a challenge dungeon. Change some gameobjects (walls, etc.) to be spawned only in raid tools mode. Prevented the boss from being attackable before the end of the arena intro. http://wowhead.com/npc=78954 and http://wowhead.com/npc=78926 should now correctly use http://wowhead.com/spell=163408 during the fight, in mythic mode. Prevented the boss from being stucked after http://wowhead.com/spell=159996 . Prevented http://wowhead.com/npc=81403 to be killed by http://wowhead.com/spell=173229 periodic damages. http://wowhead.com/spell=163310 should now burns http://wowhead.com/spell=163347 easily. Prevented bosses from being stuck behind their wind wall. http://wowhead.com/spell=155080 doesn’t hit the main target of the boss. Prevented movement issues for http://wowhead.com/npc=78463 , and they’ll now use http://wowhead.com/spell=155200 instead of melee attacks. If one of those boss dies, the other one will now die too. Prevented http://wowhead.com/npc=76794 to be stuck in the air. Prevented some movements to be canceled by a player’s taunt. http://wowhead.com/npc=81535 and http://wowhead.com/npc=81252 will now enter in evade mode if they are pulled too far away from their original position. http://wowhead.com/npc=88142 should now be fixed. http://wowhead.com/npc=83746 will now allow you to do a bonus roll. Handle some auras which should be removed when you leave the combat. Handle AoE avoidance for temporary guardians. Fixed http://wowhead.com/spell=61999 : Raise ally now revive the player with 60%hp and 20% mana. Fixed http://wowhead.com/spell=57855 : The glyph now correctly add the spell to the spellbook. Fixed http://wowhead.com/spell=47180 : The druid has no longer permanently the effect of the glyph of cat form while being in cat form. Fixed http://wowhead.com/spell=52610 , when you change your form and come back to cat form. You will no more lose the buff. Fixed http://wowhead.com/spell=155675 amount when you get http://wowhead.com/spell=114107 . Fixed http://wowhead.com/spell=106707 in PvP, the movement speed debuff of enemies was not hiding when the buff was dispel. Now will be able to crit. Fixed http://wowhead.com/spell=153596 : The comet now fall slower (2 per second). Fixed speed of http://wowhead.com/spell=84714 when the ground is an incline. Fixed http://wowhead.com/spell=153626 to begin his damage sooner. Fixed http://wowhead.com/spell=159534 : The Roll, Chi Torpedo, and Flying Serpent Kick now correctly free the caster from all impairing effects before the animation. Fixed http://wowhead.com/spell=34600 : The snakes now only have crippling poison. Fixed http://wowhead.com/spell=53301 amount when stacking. Fixed armor of pets, will be now 170% from owner armor. Fixed http://wowhead.com/spell=117050 , it will no more trigger the cooldown of the others hunters. Prevented http://wowhead.com/spell=120644 and http://wowhead.com/spell=120517 to targets units out of line of sight. Fixed http://wowhead.com/spell=33076 : The buff can now stack up to 10 times. Fixed http://wowhead.com/spell=155362 : The free http://wowhead.com/spell=33076 now longer trigger its CD. Fixed http://wowhead.com/spell=56805 : The kick’s cooldown is now reduce of 6 seconds when it successfully interrupts a cast. Fixed http://wowhead.com/spell=2098 when you get melee damage bonus, was not apply and fixed damage with Shadow Reflection. Fixed the damage of http://wowhead.com/spell=32645 , and fixed the damage by Shadow Reflection. Fixed the damage of http://wowhead.com/spell=5938 by Shadow Reflection. Fixed the damage of http://wowhead.com/spell=152150 when target is a rogue. Fixed http://wowhead.com/spell=63280 : The shamanistic rage now correctly dispells every magic effect upon use with the glyph. Fixed http://wowhead.com/spell=114089 , will now bypass armor of target. Fixed http://wowhead.com/spell=114093 , will now bypass armor of target. 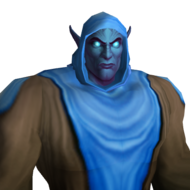 Fixed http://wowhead.com/spell=58068 : The glyph now restores 15% of player’s max hp upon killing a target which reward experience or honor with the specified spells. Fixed http://wowhead.com/spell=80240 , his range has increased. Fixed http://wowhead.com/spell=171379 , bonus of versatility was apply when the warlock was using on http://wowhead.com/spell=755 with http://wowhead.com/spell=56238 . Fixed http://wowhead.com/spell=171397 , was removing randomly some times. Fixed http://wowhead.com/spell=157698 , will no more be apply when hitting the target but after casting the spell. Fixed http://wowhead.com/spell=157695 , will no more be apply when hitting the target but after casting the spell. http://www.wowhead.com/spell=157695/demonbolt : now you get the debuff in the moment you launch the spell like on retail . Added http://wowhead.com/npc=2098 into the game. Fixed loot for http://wowhead.com/npc=82354 . http://wowhead.com/npc=68363 is not available anymore. You can now complete http://wowhead.com/quest=33333 . You can now complete http://wowhead.com/quest=35032 . Known Issue: The quest log won't show that you have completed all objectives, even if you have completed them. This is purely a visual bug, once you have completed all four objectives return to the quest giver and turn it in. You can now complete http://wowhead.com/quest=9160 . You will now receive the buffs from http://wowhead.com/object=222776 . Missing non-player characters in Shattrath City and it’s surroundings are now correctly spawned.